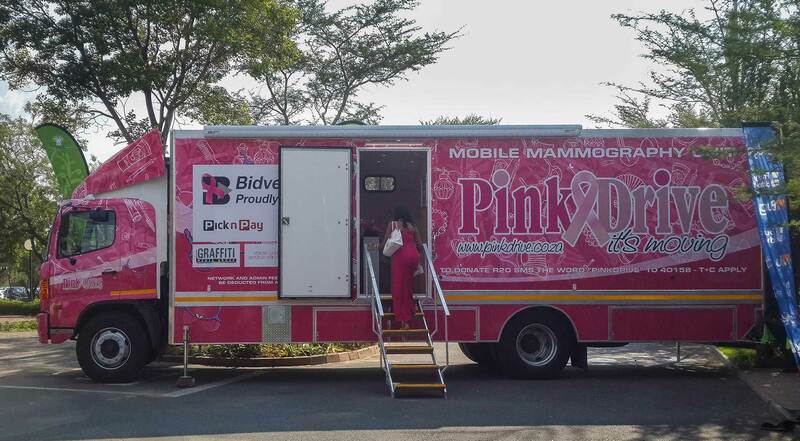 Mobile Health Clinics provided one mobile mammography unit to the PinkDrive in 2014 and is proud to be associated with the them. The PinkDrive is South Africa’s best-loved Breast Cancer Community Carer, travelling to semi-urban and urban areas around South Africa to offer free mammograms, pap smears, clinical examinations and education on women’s health. Since officially launching in 2011, the PinkDrive has completed over 10,000 mammograms and over 100,000 clinical breast examinations. By providing uninsured women with an essential health service and spreading the message that early detection saves lives, the PinkDrive is impacting the health of thousands of South Africans positively.